There are a various visa options and these are described in both the Immigration Laws and the regulations contained within that have a special section that deals specifically with the question of foreign students. 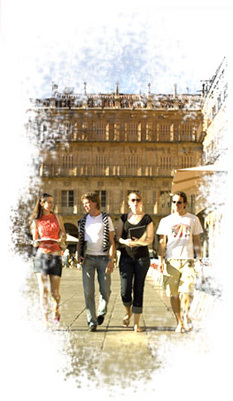 1- Request a student visa at the Spanish Consulate in your country of residence. You should include certificates of the studies you are taking and your college or higher education diploma. 2- Submit proof of admission to the public or private institution where you hope to carry out your studies in Spain. If the study programme lasts less than 6 months, there is no need to renew your visa while in Spain. If the study programme lasts longer than 6 months, your visa will be considered provisional and you will need to renew it three months from the date it was issued. You should go to the Immigration Office or the Police Department of the province where you will be studying and request the student residency permit or a student card. No permit is required if you have a student visa and the length of your study programme is less than six months. In Spain, if you are from a member state of the E.U., healthcare is offered free of charge by simply presenting your European Health Card (EHC). Treatment is carried out by a G.P. at one of the doctor surgeries or at home if you are unable to travel. In Spain, basic healthcare is provided by the State’s Department of Social Security, and covers almost every type of medical healthcare. The bulk of the cost of any medication prescribed by a doctor through the Social Security is financed by the State. All Spanish teaching centres provide information about the requisites of receiving healthcare under the Spanish system. Spain has also signed bilateral healthcare agreements with Andorra, Brazil, Chile, Ecuador, Paraguay and Peru. If you are not from one of the aforementioned countries: Although you will be treated in the case of emergencies, you will be charged for this so you are highly recommended to take out a medical insurance policy for your stay.